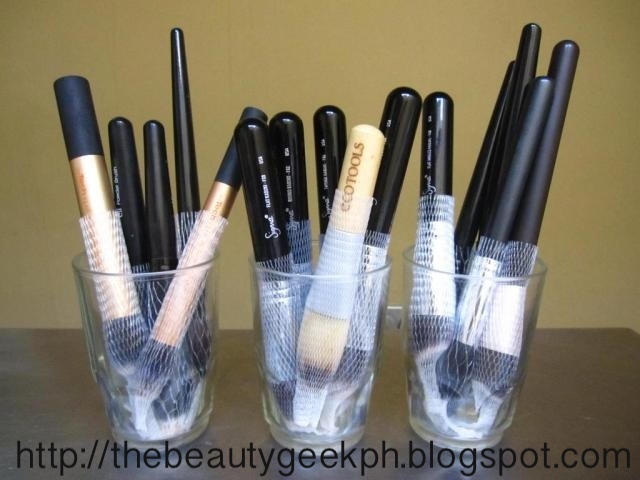 Make up brushes gather dirt, bacteria and facial oils aside from the make up it picks up when used for application. It is essential to clean our brushes regularly, besides, who wants to spread bacteria on their faces anyway? I have tried several ways on cleaning my make up brushes, some didn't work well to the point that my make up brushes got damaged. So far, this works well for me, and I have been doing it for years already. I am still finding ways on making this task more convenient and easier to do, but for now I am sharing what works for me as of the moment. Separate your brushes depending on their type (Natural or Synthetic). You also have to take into consideration the products used on the brush for application, i.e. if the make up is in powder form, cream, liquid, etc. For those with Natural hair, you can skip the second step. 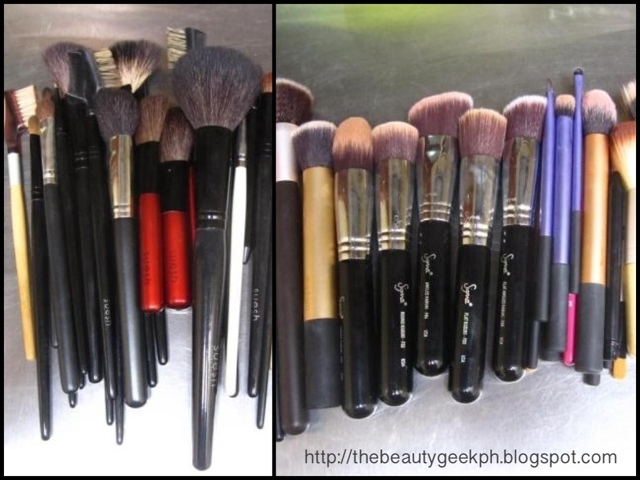 This goes the same with the brushes that are synthetic and yet powder forms of make up were used for application. However, those with Synthetic hairs and those that pick up cream and liquid based makeups are more tedious to cleanse. "Blot" olive oil on paper towel. I know, others would tell you to mix olive oil on your cleansing medium, however that didn't work well for me, it weighed down the hair on my brushes and it caused them to shed I had to throw a lot of them because of that. 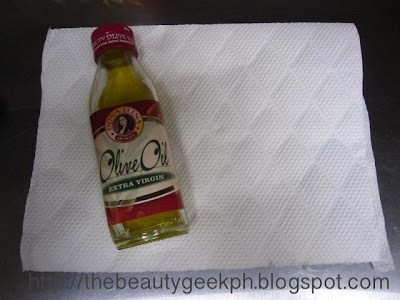 After blotting the paper towel with olive oil, just swirl and work your brushes until the brush no longer leaves color on the paper towel. 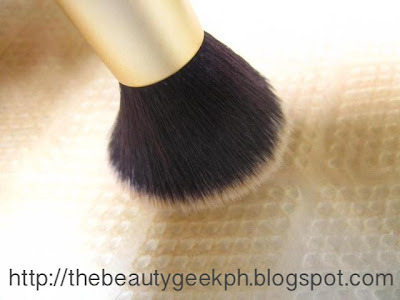 This is essential to brushes that were applied with waxy products like gel liners, lipsticks and creamy foundations. Olive oil helps breakdown the waxiness and thickness of the product before you proceed to the next step. Mix baby shampoo and water in a small basin. Dip your brushes on the cleansing medium, making sure that it does not touch the ferrule (the metal part that holds the hair). We have to take in consideration, that if water seeps in the ferrules, it will loosen the glue that holds the hair, thus making the brushes shed. Using a wash cloth, sponge, the palm of your hand etc. lather your brushes! I'm planning on editing this part sometime soon as I use my palms for lathering my brushes haha! 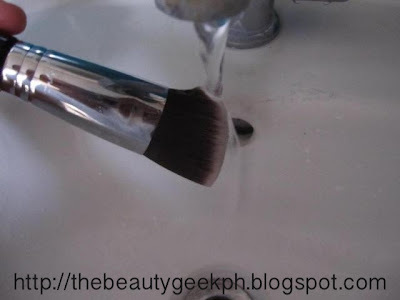 Holding your brushes in a downward position (again, try as much to to let water touch the ferrules) rinse the brushes until all signs of product has been washed away. Squeeze the excess water on your bushes and proceed to the drying part. 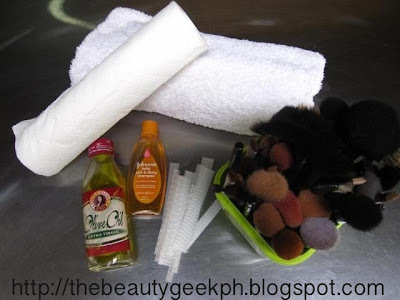 In doing so, roll one side of the towel and lay your brushes on a downward position to let more water drip down. For dense brushes, use brush guards to help squeeze excess water and maintain the shape of your brushes. Place them on clean glasses in a downward position. You may place a clean paper towel on the bottom of the glass to help absorb the water that would possibly drip when drying. 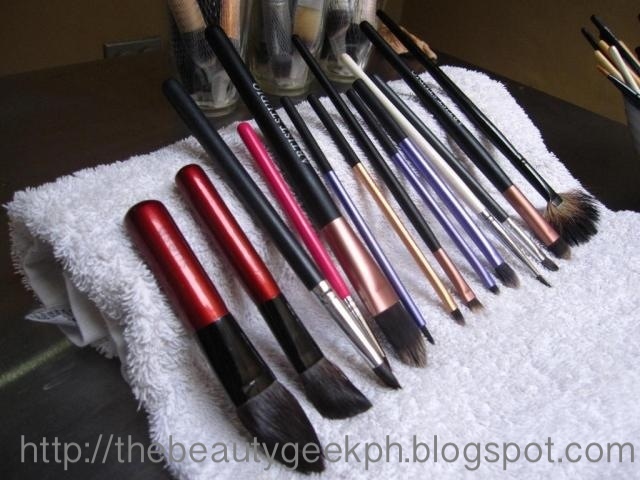 When the brushes are already damp, lay them flat on a clean towel and wait for them to dry. 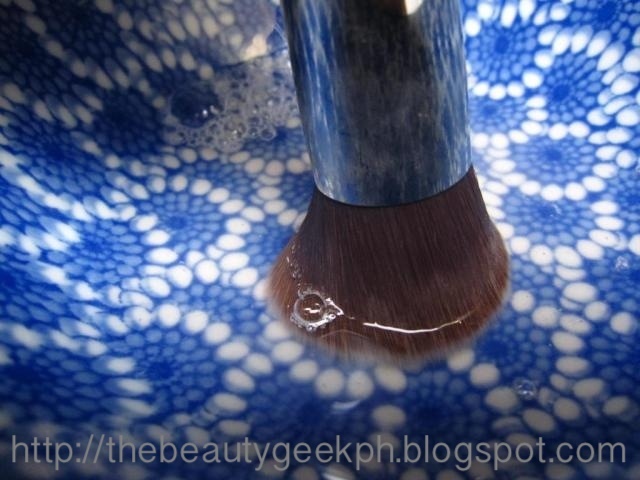 Wipe and buff the handles of the brushes when dry and voila! 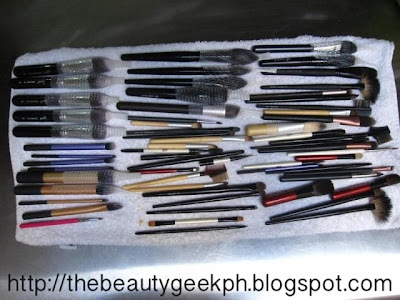 Clean brushes - all set for your next makeup move! Remember to clean your brushes regularly. I do this once - twice a week, depending on how often I use them. Remember that brushes also harbor bacteria that could lead to possible skin infections. Cleaning them regularly will reduce the risk of breakouts and infections. wow you have a great selection of brushes! Glad to find your blog, i was blogwalking about nature republic eyeliner and found yours! Thanks for sharing this! It is very important that we make sure that our makeup brushes are clean all the time.